In 1931, Japan invaded Manchuria following the Mukden Incident, in which the Japanese military staged an act of sabotage in order to provide a pretext for war. 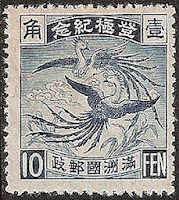 In 1932, the Japanese formed the puppet state of Manchukuo, with Henry Pu-Yi, the former Emperor of China, as its head of state. Palace or a phoenix, symbolizing the former emperor's "restoration" (Scott #32-35). 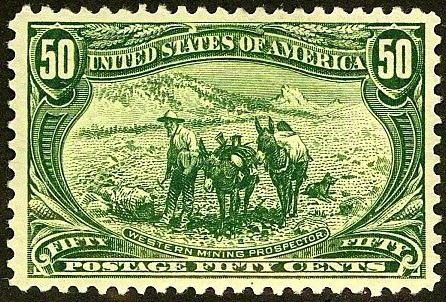 120,000 were issued, and Scott '14 prices the unused set at $51.50 ($75.- for NH). I recommend this issue due to both its scarcity and potential dual market among collectors of both China and Japan. 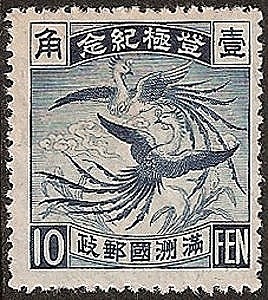 I believe that it has been overlooked by collectors in China, due to their current tendency to spurn stamps issued by foreign occupiers.